ACCORDING to the Gauteng government, new Life Esidimeni claimants have come forward. Provincial government spokesman Thabo Masebe said the families who approached them were not involved in the arbitration hearings. The new information comes after the Gauteng health department was told to pay out more than R159 million to claimants by tomorrow. This is in accordance with the ruling handed down by former deputy chief justice Dikgang Moseneke in March. Moseneke ruled that the Gauteng health department must pay R1 million to each family for constitutional damages, R180 000 for emotional trauma and R20 000 for funeral expenses. In his report, Moseneke said former Gauteng health MEC Qedani Mahlangu, former health department head Barney Selebano and former director of mental health Makgabo Manamela had failed to uphold the Constitution. 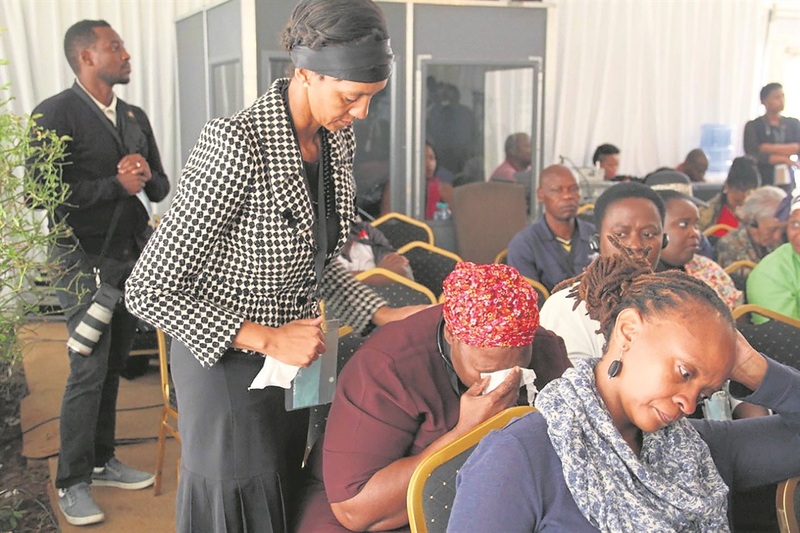 This was after the department cancelled its contract with service provider Life Esidimeni and moved more than 1 700 psychiatric patients to ill-equipped NGOs, leading to 144 deaths. Masebe said one of the recommendations made by Moseneke was that new claims needed to be verified and should be treated equally to those that participated in the arbitration process. He said the government would continue to implement the measures recommended by Moseneke and the health ombudsman.